With Readly you can read The Guitarist's Guide To Effects Pedals and thousands of other magazines on your tablet and smartphone. Get access to all with just one subscription. New releases and back issues – all included. Effects pedals can unlock a universe of new sounds for guitar players – from searing overdrive to swirling phaser and chorus sounds to atmospheric delays. With quality effects pedals more readily available than ever before, we live in a new golden age of tone. But to get the best from your pedals you need to understand how each can be used to best advantage and how they interact with other pedals on your 'board. 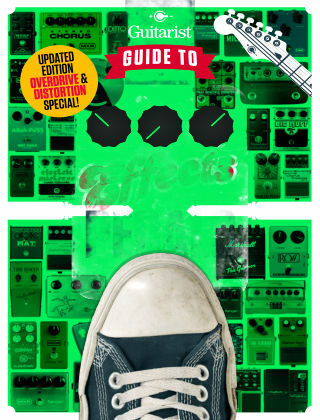 With comprehensive advice on every class of popular effect now available, from distortion to wah, plus detailed insights on how to maximise tone and banish unwanted noise, the Guitarist's Guide To Effects Pedals is your one-stop resource for getting stellar sounds from your arsenal of effects today.